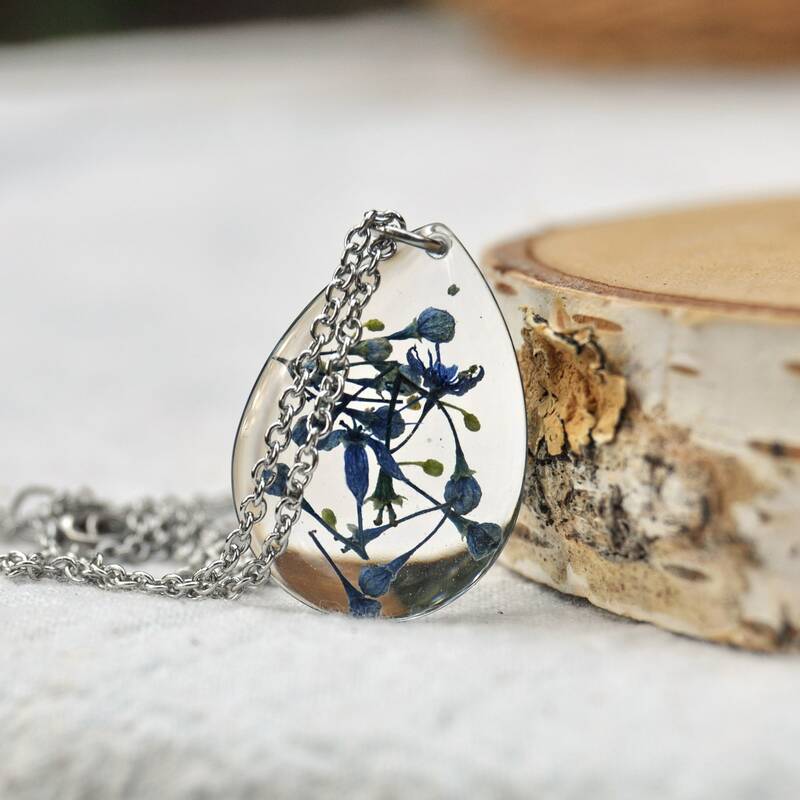 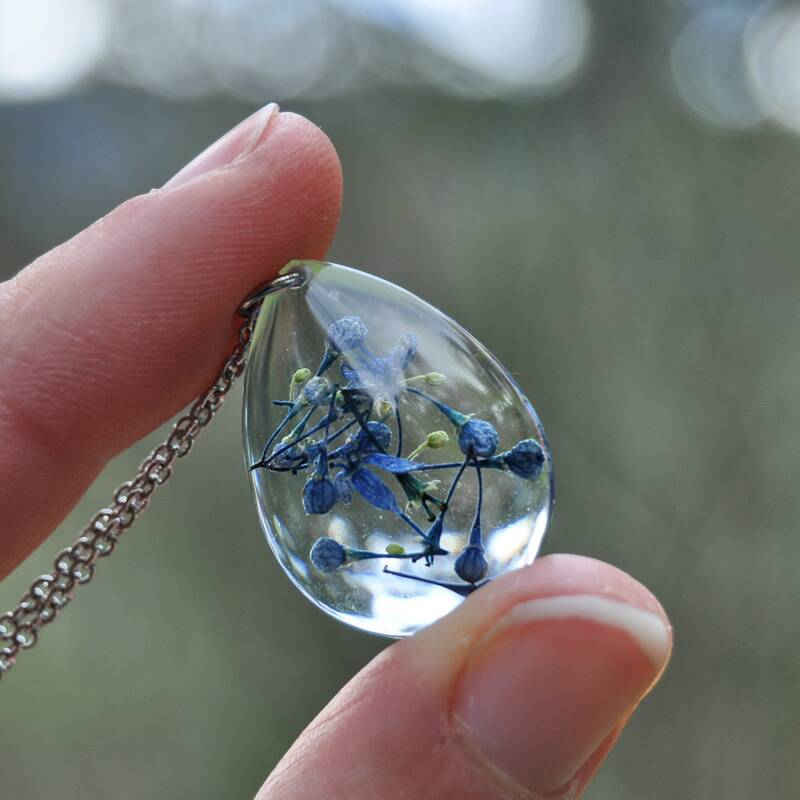 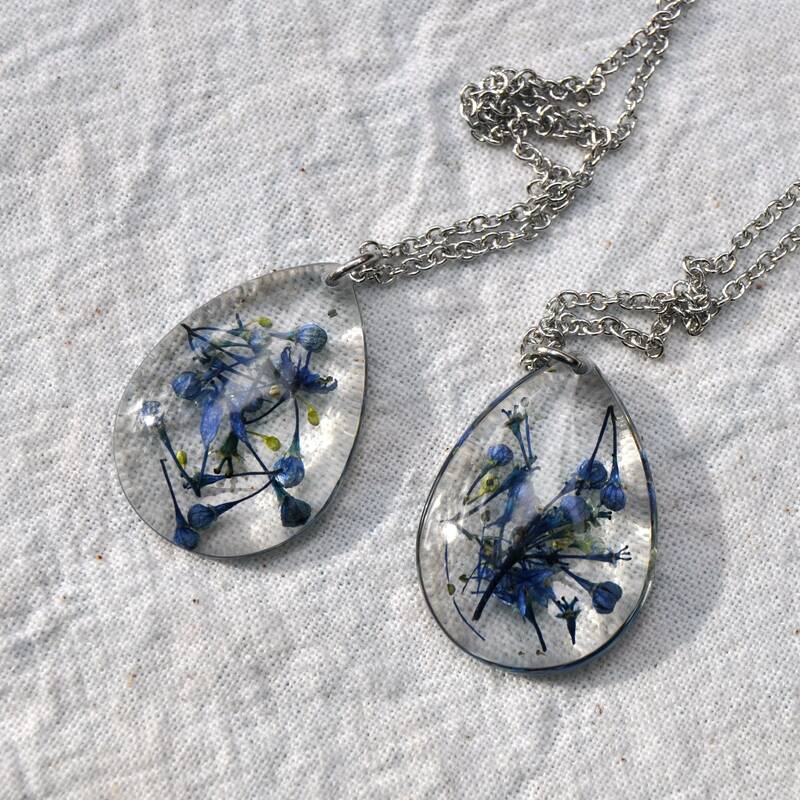 This little necklace is made from real hydrangea flowers and buds - they're quite tiny flowers, as they come from 'lace cap' of this particular variety of hydrangeas. 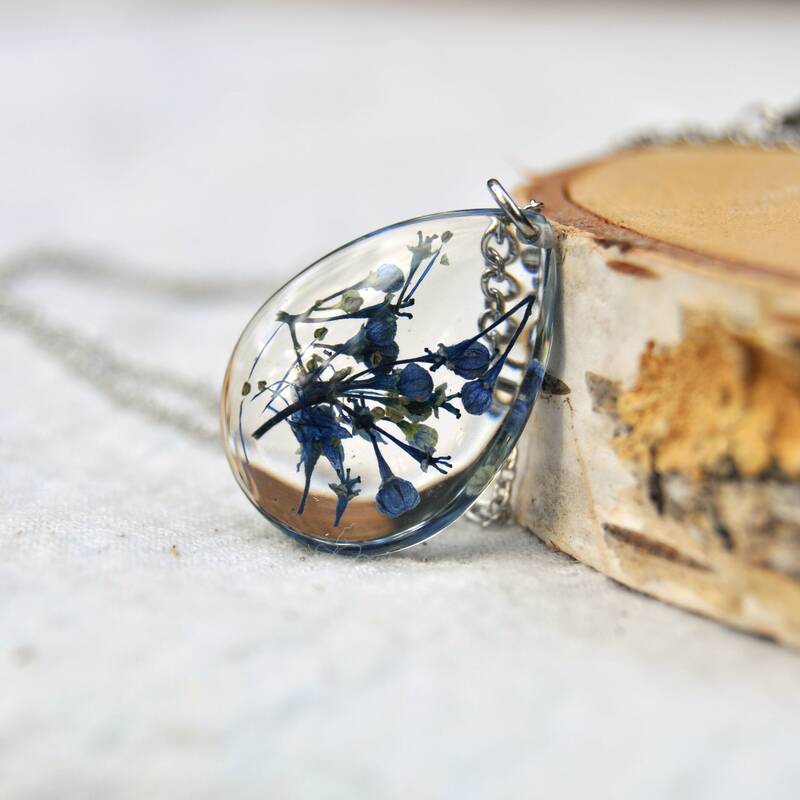 The resin cabochon comes strung on a non tarnishing stainless steel ring, with a matching surgical steel inch chain (your choice of length). 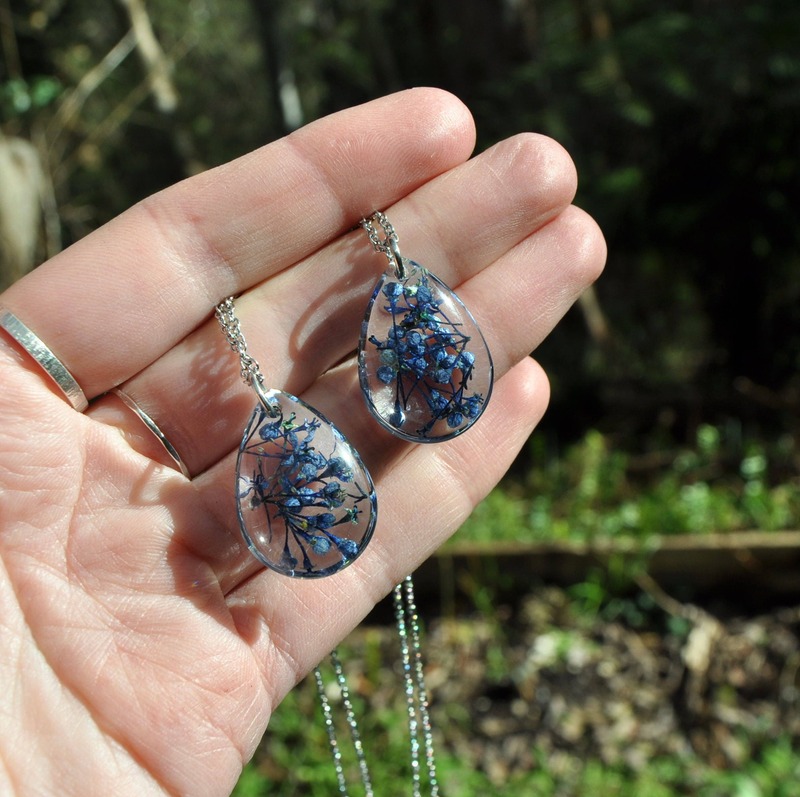 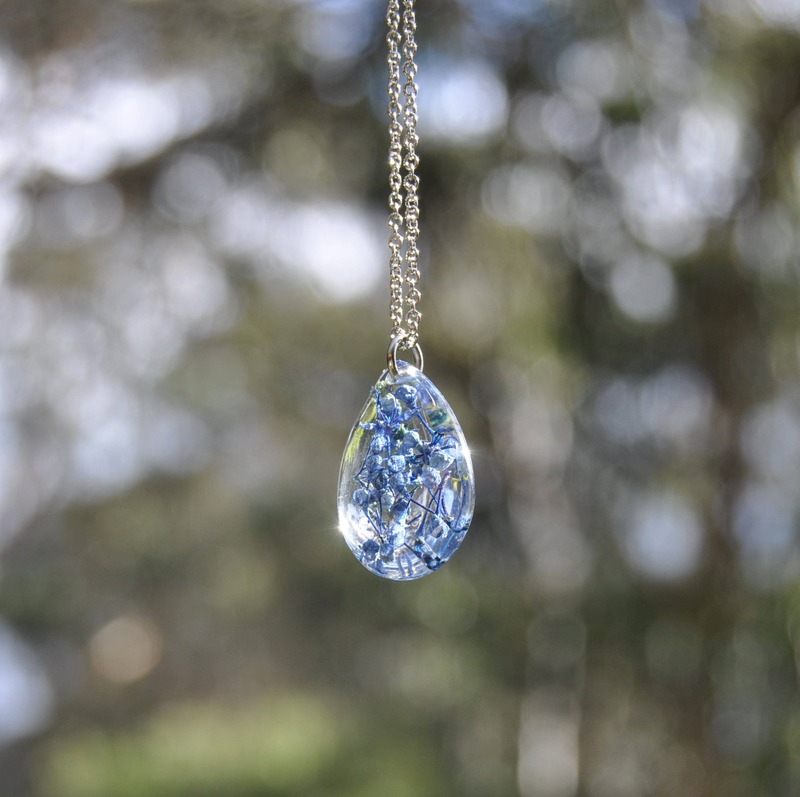 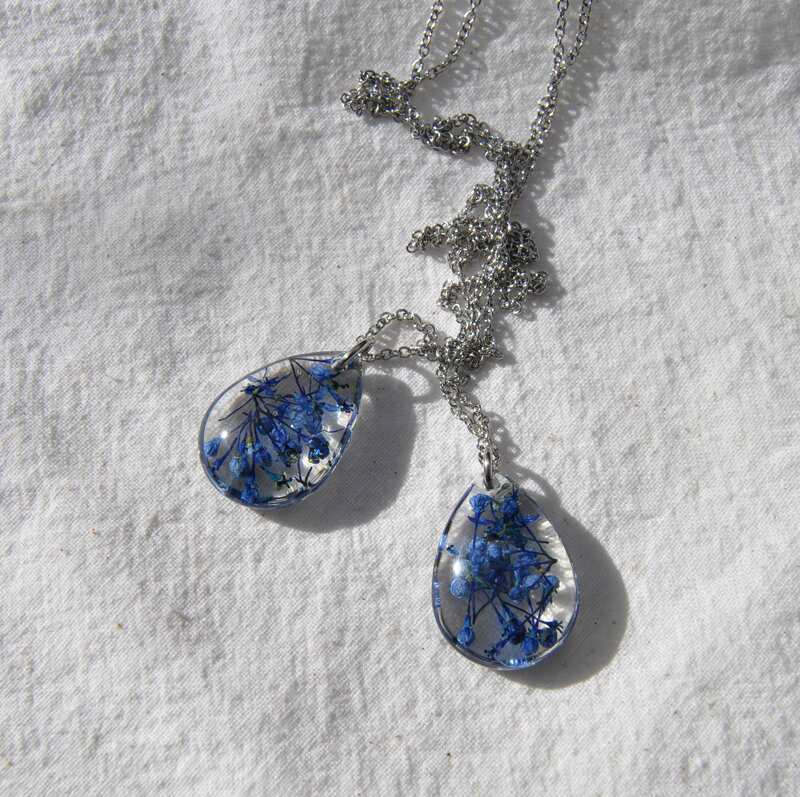 The resin drop measures 25 mm (about an inch) long, is approximately 18 mm wide and 6 mm deep. 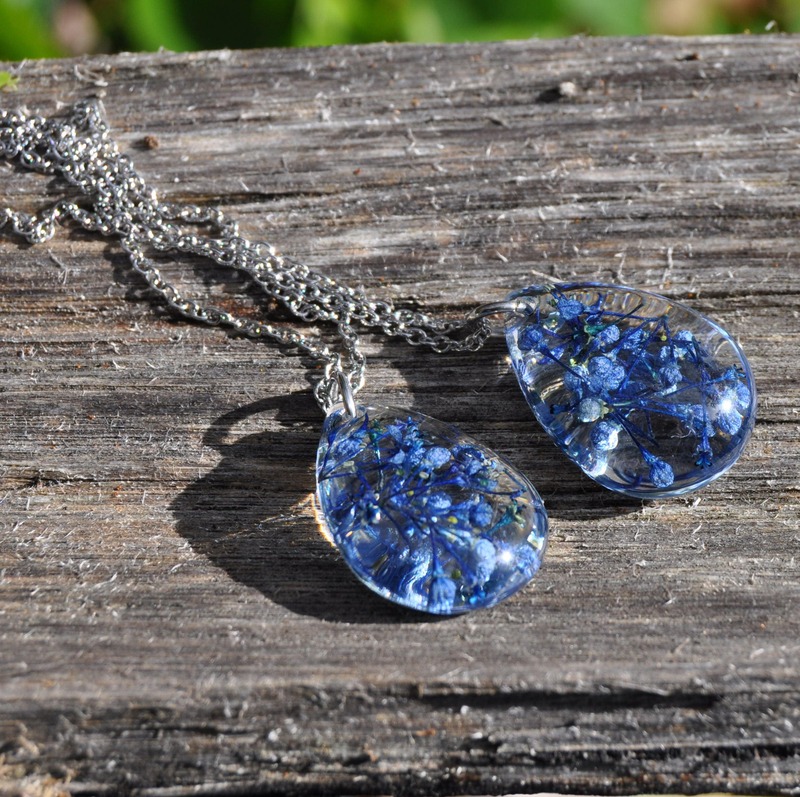 ♥ Please read the FAQ below for further information on wrapping and shipping options.